I'm diligently clacking away at the keyboard in hopes that this baby will soon see the light of day. 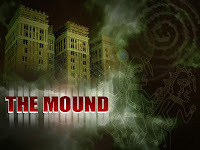 The mound is the forthcoming novel by Cullan Hudson and M. A. Terry. A supernatural thriller that's part Preston/Child, part Buffy. Chock full of adventure, a mind-boggling layer of mysteries and enough laughs to keep you turning the page until the riveting end. Set in the fictional eastern Oklahoma settlement of Corvus Mound, the novel tell the story of a disparate group of strangers brought together to investigate the rumored hauntings of a turn-of-the-century hotel. Unfortunately, their arrival coincides with the awakening of an ancient evil. 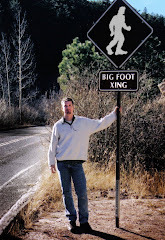 Be sure to come see me at the North Texas Book Festival in Denton on April 21, 2007 - think of it as a pilgrimage. 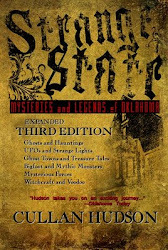 I will be there selling and signing copies of Strange State: Mysteries and Legends of Oklahoma. It will be one of my final appearances stateside for a while. I have every intention on making it back in November for the Red Dirt Book Festival in Shawnee, God willing. It's the perfect read if you love mysterious phenomena, strange tales, or hidden history. An enjoyable blend of romantic legend, pointed criticism and just a touch of levity.